Alfred Hitchcock was one of the very few directors whose reputation often eclipsed that of his stars. Although he achieved his greatest success and fame in Hollywood, he was quintessentially British and the 23 films he made in Britain are very much more than apprentice work. The Lodger, Blackmail, The Man Who Knew Too Much, The 39 Steps, and The Lady Vanishes are films of enormous wit and sophistication -- masterworks in their own right. Its entertaining and elegantly written text, supported by 240 well-chosen stills and frame enlargements, offers a detailed and thoroughly documented reading of the films. Charles Barr is currently Professor of Film Studies at University College Dublin (UCD) in the Republic of Ireland. He holds degrees from Cambridge and York Universities, England, and was one of the first postgraduate film students at London's Slade School of Art. He has been a Visiting Professor at the University of Wellington, New Zealand and has lectured widely and contributed to film journals including Sight & Sound, Movie, and Film Quarterly. His books include Laurel & Hardy (University of California Press, 1968) and Ealing Studios (1977, most recent edition University of California Press, 1999). 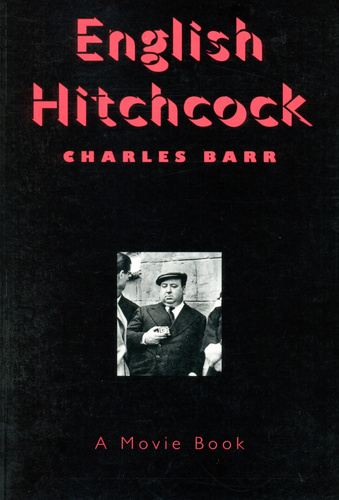 Hitchcock Annual (2002) - Book Reviews: "English Hitchcock"